Whether you want a burial or cremation, the choice is personal and individual to your family and circumstances. The choice of how you want the service to go is also totally individual. A family gathering for a funeral is an important part of the grieving process; being able to share in the many happy memories helps with the loss. 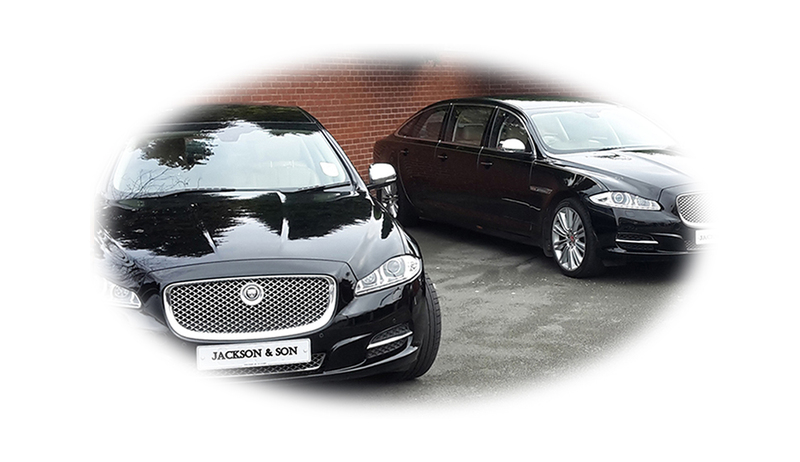 As standard, we offer a modern fleet of Jaguar vehicles. 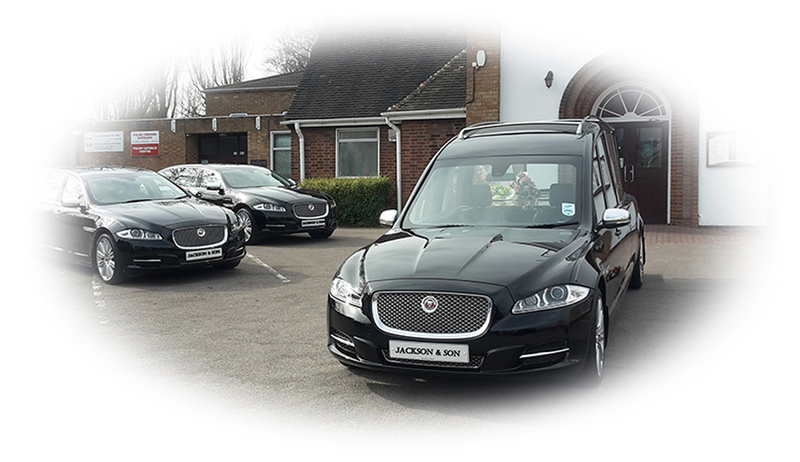 However, there are so many different options available to ensure a truly personalised final journey for you loved one. We specialise in Horse drawn carriages. 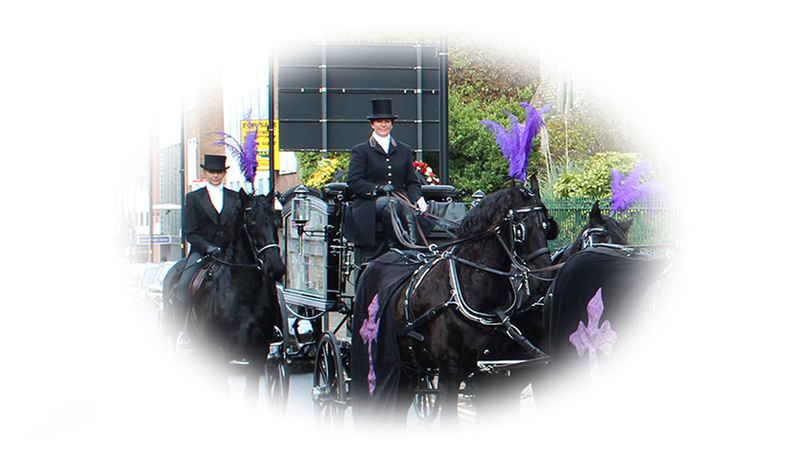 Working closely with our carriage masters, we are able to offer you the very best in horse drawn funerals. 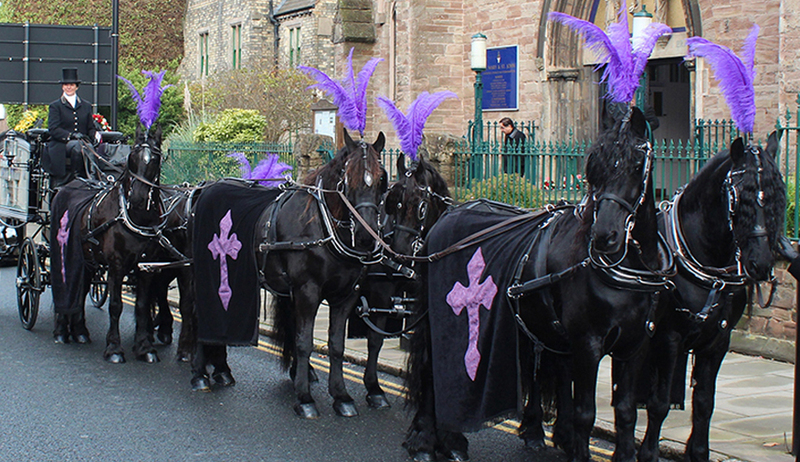 Our carriages can be led by a pair, team of 4 or 6 in hand turnout - available with a choice of black or white horses and plumes in your choice of colour. 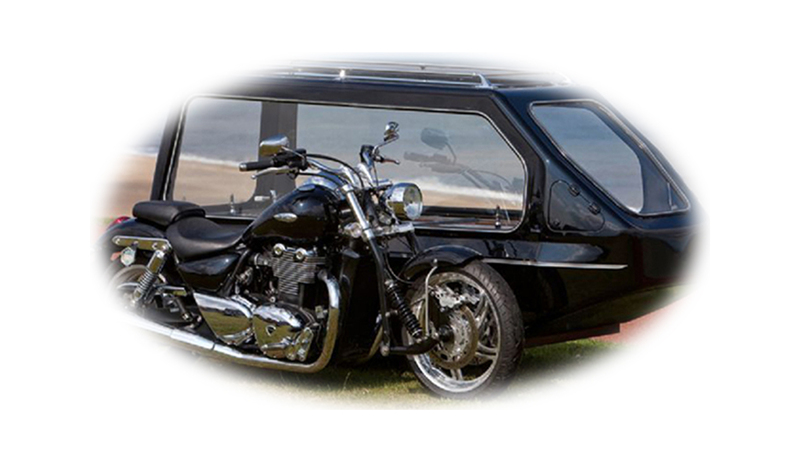 Alternatively, for the motorbike lover, we can provide a range of bikes and trikes to lead their final journey in style; including the Suzuki Hayabusa - officially the fastest hearse in the world... although we promise not to be breaking any speed limits! Our collection also includes a stylish Harley Davidson and Triumph models. 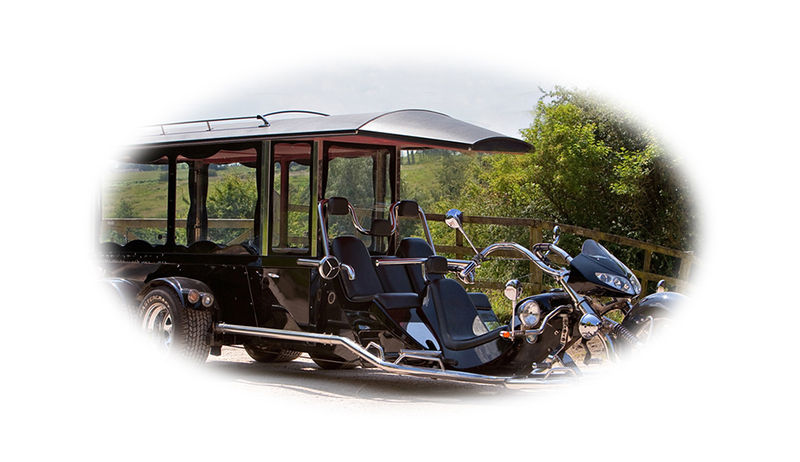 For the dedicated bike fan, our Suzuki Intruder Trike hearse is a whopping 21ft long and is heard well before it is seen. 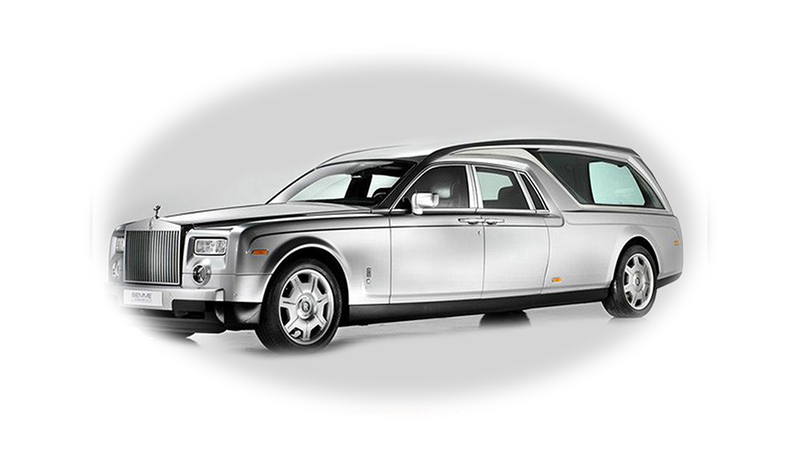 Other alternative options include a Traction Engine, Landrover 4x4's, VW Campers, Bentleys and the beautiful Rolls Royce Phantom.